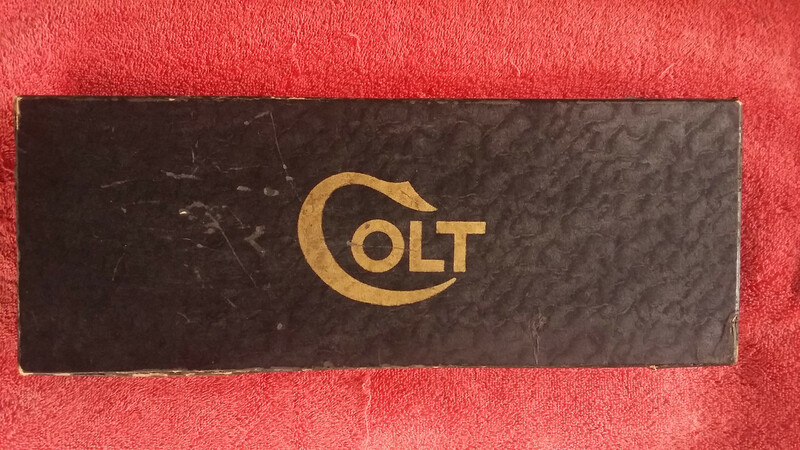 Colt SAA 2nd Gen 4 3/4" .45 Colt nickeled production query.. I know there are not many, maybe a couple or five hundred, maybe thousands made, in short, I am without a clue. 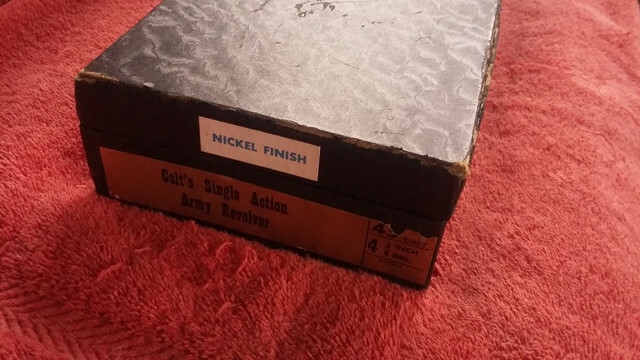 I do not own detailed reference works for only one gun. All I know is it is the least likely to rust from sloppy maint and is the most handy size. But, will be selling mine as just am not using the thing. 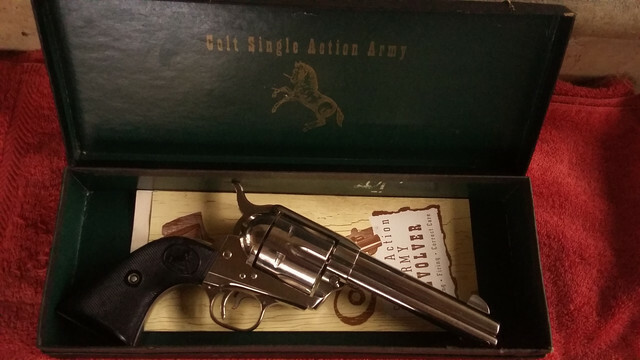 Had a couple years ago, finest kind gun, but, am getting too old to mess with inevitable breakage, eventually fitting a new bolt, etc, and the gun is simply too nice for me to want to risk timing a bolt, fitting a hand, or whatever, as it essentially is like new. I am all for shooting great guns, but to go out and commence messing up what appears an unfired gun, at my age, seems criminal, when what it needs is a younger shooter in order to have an owner who will spend quality time, decades and decades, shooting the thing. It feels as if I would be simply marring it up, just for the "honors" of being first to have at it, while not really taking it places, carrying it, using it, the way it was meant to be used. Also am interested in value ideas...saw a far more scratched up with boogered screws similar gun of same 1960-1961 vintage, sell for essentially 3 grand...a storefront operation who has a large inventory of 1st and 2nd Gen told me they generally offer about half of projected sales price, where they can discount a bit if it languishes, and then opined they would go $2200 or more, going by photos. Are they actually moving for $4000?...I am not seeking that, but, it would be good to know, or hope, for a buyer, and I say hope, as have been in this long enough to know top dollar takes a lot of patience and a special buyer, otherwise, it will realistically move for less, since most cannot afford such, and even those who may, also love to haggle. Back to possibly anyone with references, the gun is rather unique to me, as it was made when Colt transitioned from the flattop hammer to the rounded top hammer, however, the firing pin is the old large fixed cone type, rather than the S&Wish concave floater used from circa 61 onward. My assumption being they rounded old hammers initially, as with this one. The other hammer style is drilled/milled differntly for the spring, crosspin, etc, in any case. Any clues from anyone as to total numbers, or how common the hammer style, will be most appreciated. Having major problems with free hosting lately, but can easily send pics in addition to these couple of experimental free hosting pics, they actually would upload, had planned on attaching more of same. but...likely tied to me deleting embedded links, which hosts do not like, and they keep tallies.